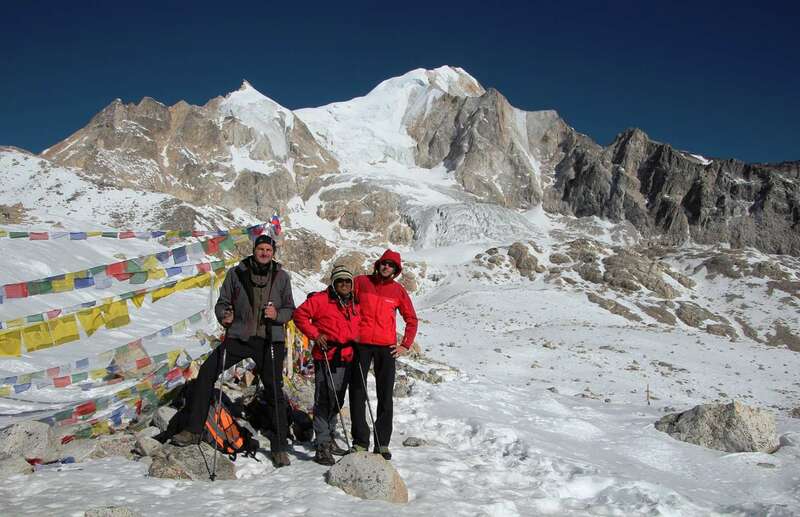 Larkya peak climbing is very enjoyable peak to climb in combination with the Manaslu Circuit Trek. 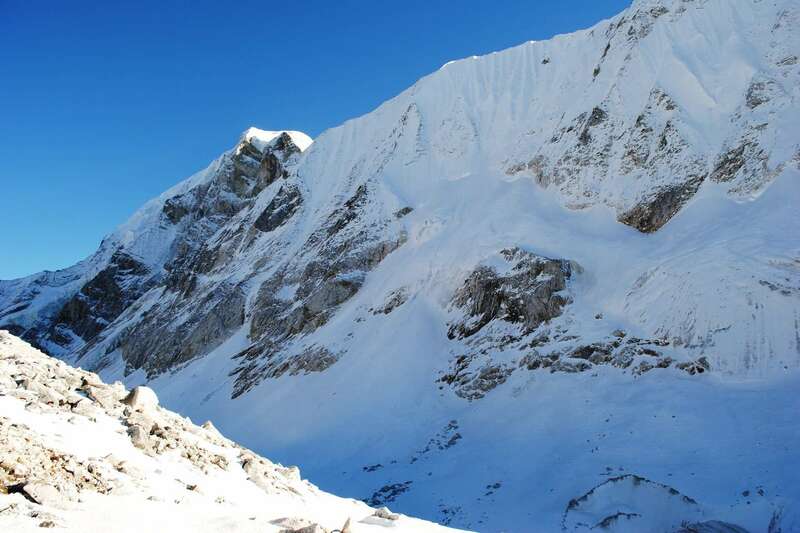 It offers trouble-free climbing with the beautiful views of Manaslu, Annapurna massif, Ganesh Himal and beyond. Besides the mountain views, Larkya Peak climbing provides a unique mixture of rich cultural heritage, unmatched natural beauty, and biological diversity. The different two peaks namely with Larkya which often makes confusion. At the same time, a peak approaches after a steep climb up to a supplementary summit known as Sano (Small) Larkya an altitude of 5,807 meters. 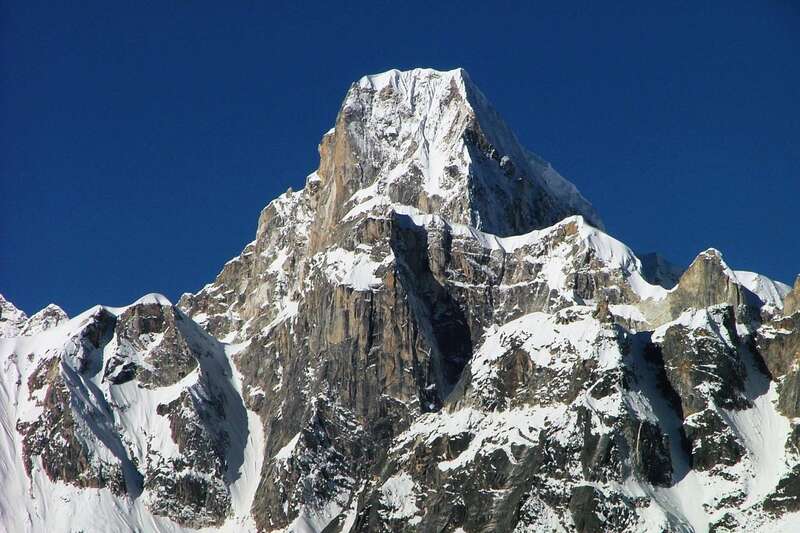 Although, it requires generating a high camp close to Larkya-La (5,218m). But, Sano Larkya can reach in a single day from base camp which allows excellent acclimatization for true Larkya. 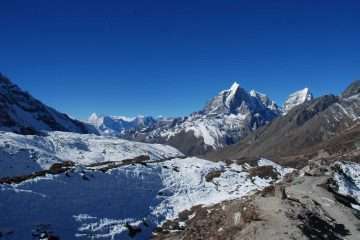 Moreover, it is an opportunity to ascend both peaks in a single excursion. On the other hand, to climb Thulo(Big), Larkya requires a long walk but consider a leisurely walk on snow than Sano Larkya. Trekking around Manaslu itself beautiful trekking and untouched by modernization since it’s a unique topographical structure for the Larkya Peak. Manaslu Circuit Trek starts from Arughat passing through the small villages, beautiful rice fields, and lush green forest. Thus, it represents of Lower Manaslu Circuit Trail along the Budi Gandaki River up to the Larkya La. 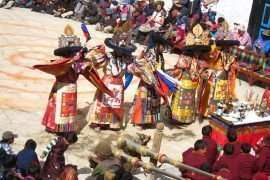 However, it provides that spectacular Himalayan Scenic, admirable and lifetime experience. Larkya Peak climbing combines numerous stupas and monasteries along the trail although it represents Himalayan Buddhism. 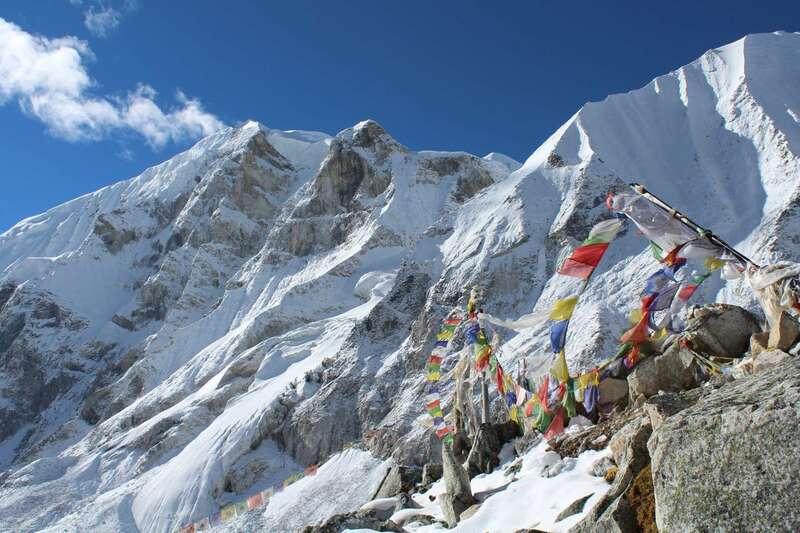 Despite its easiness, an excellent physical condition and previous climbing experience required for this peak. 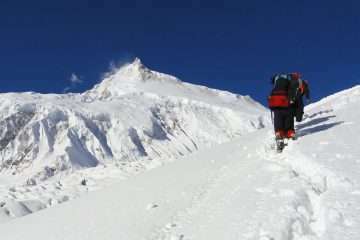 Once successful attempt of Larkya Peak retraces to base camp then join to famous trekking destination Annapurna Circuit at Dharapani. Exploring the wilderness of Tibet border, we continue to walk to Larya Base Camp and known as Dharamshala also. Today is a short day trek to Dharmashala enough time for acclimatization. There is the stone made the house not a lodge but kind of shelter called Dharmashala. Day 14: Dharamsala – Larkya Base Camp (4900 m) 4h00 walk. A short climb after we enter a valley on the north side of Larkya glacier. It is required to set up a base camp to make summit near the Larkya-La. Day trip to Sano Larkya-peak allowing proper acclimatization which performs in a single day. Day 15: Larkya Base Camp – Larkya Summit (6249 m) – Base Camp. After a bonus climb up to Sano Larkya peak which leads steep ascend then easy long walk along the snow to get summit of true Larkya peak. And down back to Base Camp. Day 16: Larkya Base Camp – Bhimthang (3800 m) 4h00 walk. 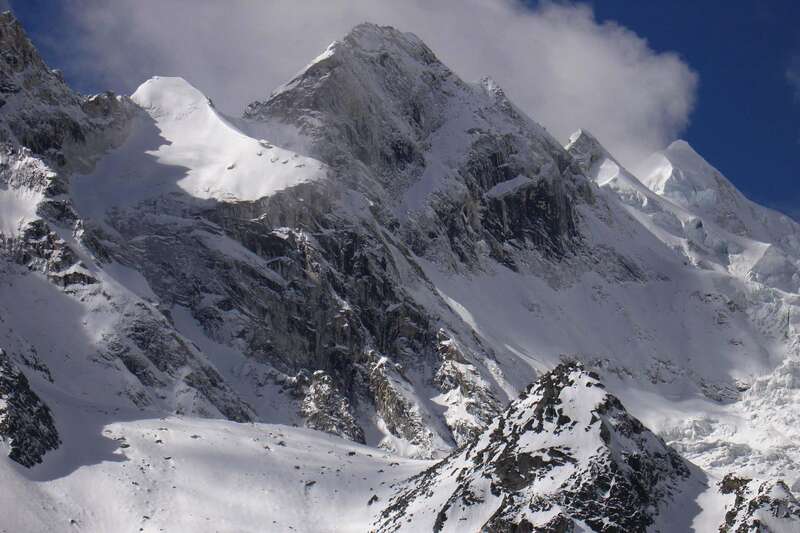 After glorious victory over both Larkya peak, we head towards Larkya-La Pass at 5218 m. then descend to Bhimthang with amazing scenery of Manaslu. Day 17: Bimthang – Tilije (2300 m) 6h00 walk. As usual as other days, we start our trek in the early morning. Once, enjoy with great views of Mt. Manaslu, Lamjung Himal, and Himlung Himal. We descend towards Tilije passing through a high pasture, rivers, and rhododendron forests. Finally get in Tilije. Day 18: Tilije – Tal (1700 m) 6h00 walk. Day 19: Taal – Syange (1080 m) 6h00 walk. After crossing a suspension bridge come across Chamje. And the trail goes along the Marsyandi River valley which opens beautiful landscapes, villages and dense forest of pines to Shyange. The last day of the trip that leads you to arrive in Kathmandu by bus. 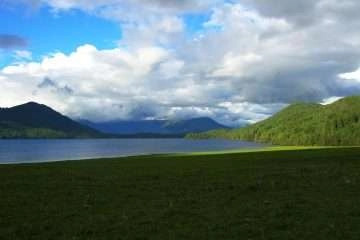 It is an opportunity to enjoy landscapes along the route. Alternating you have a chance to walk till Besi Shahar then take a bus to Kathmandu by the following day. Prices are quoted and payable only in (US$ dollars). All prices are published on our website, that set as low as possible. The Prices may vary at any time due to currency fluctuation, fuel prices, and unforeseen economic circumstances. However, we guarantee our prices which already signed up for your tour. Please consult us for a custom quote.